Once again I am frustrated by yet another report citing lack of interoperability between HIT platforms. Above and beyond the additional costs this adds to the industry, interoperability is a problem that has been solved in other industries. 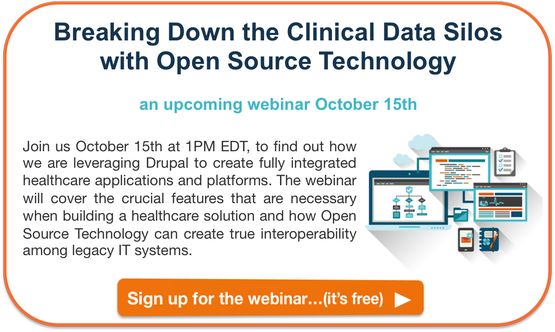 The lack of interoperability among Clinical Information Systems (CIS) – namely Electronic Medical Records (EMR) – is a massive problem within the healthcare industry. The wasted costs due to interoperability are almost unquantifiable. Yet the cost for a new EMR is quantifiable and astronomical. Adopting an entirely new EMR system is not the answer. This is especially true for ACOs as they rarely have a HIT mandate, which would standardize all physicians on one platform. This leaves ACOs with a vast amount of disparate IT systems and clinical data silos. The recent shift in course from the major EMR vendors to Open APIs is a great start but it will take more than just acutely focused applications to improve the connectivity and data flow amongst these massive proprietary systems. The healthcare industry should take a hard look outside of the “walled garden” that is healthcare and learn from examples in other major sectors and how they have solved data portability and IT communication challenges by adopting Open Source Technology. Enterprises in the Finance, Media, Entertainment, and Publishing industries have all shifted away from proprietary Content Management Systems (CMS) and digital infrastructures to more flexible Open Source solutions, which are vastly improving the flow of data between 3rd party applications and the digital experience for their customers. The Government’s technology perspective and footprint has been revolutionized by the adoption of Open Source platforms. I understand the hesitation from the healthcare industry, people’s lives are literally at stake, but if they took examples from outside their own sector they would see that there are tools and platforms such as; Drupal, Mulesoft and Alfresco, that offer flexible APIs, huge pools of developer talent and military grade data security. The state of Georgia decided to standardize on Drupal and they integrated all of their 50+ state sites onto one platform, fully integrating the numerous legacy systems and databases onto the Drupal platform. Data.gov provides data from thousands of sources to anyone that has access to a web browser…it’s like night and day compared to healthcare. UCSF Medical was able to extend their Epic platform by leveraging the Open Source Enterprise Service Bus (ESB) Mulesoft. These problems have been solved; they have even been solved in a clinical context, so there are no more excuses. Hospital CIOs, CMIOs, CTOs etc. can make real gains by adopting a broader perspective and thoroughly vetting Open Source solutions as potential answers to the challenges plaguing their organizations. Ron's passion is to help organizations bridge the gap between cutting-edge technology and the desire to create memorable, awe-inspiring experiences through web and mobile applications led him to found Achieve in 2002. Achieve has two distinct divisions, Achieve Health and Achieve Internet. Achieve Health is focused on expanding interoperability in the healthcare industry by providing software solutions that allow doctors and patience to interact with data previously hidden by proprietary IT systems wanting to protect their turf. Achieve Internet, a leader in the Open Source Software industry, providing custom service and solutions to the entertainment and media industry.